"I am convinced that a historic chance for changes that Ukraine has gained will be realised. 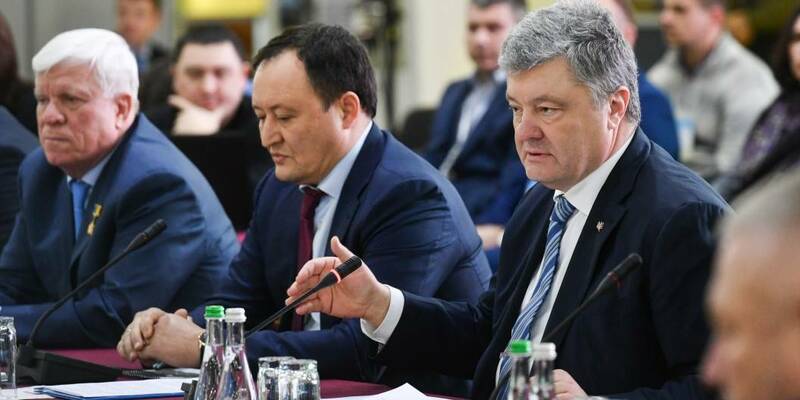 Our duty is to unite all those ready to defend Ukraine," said President Petro Poroshenko during a meeting of the Regional Development Council in Zaporizhzhia Oblast. The President noted that current politicians and executives need to learn the lessons of the past when the Ukrainian state was lost because of quarrels. "When we are united, nothing is impossible for us ... I am convinced that we will build Ukraine of prosperous hromadas - a great country of free, prosperous and happy people," he added. Petro Poroshenko said: "Today we have to believe and demand impossible from ourselves, from the whole team". The President especially noted that a lot of young, active leaders have emerged in Ukraine, working to build up their hromadas and the state as a whole. He noted that decentralisation had contributed to this, allowing to implement the initiative at the local level. "And decentralisation should become a mechanism for selecting and identifying leaders - engines, locomotives of changes. There are a lot of politicians in Ukraine, but few leaders. Both you and I know few people capable of taking responsibility, determining strategic goals and, above all, achieving these strategic goals," Petro Poroshenko added. "Therefore, we should carefully look at the young leaders of AHs. Not those who speak well in Kyiv, but those who build well at the local level, who care about the people. They arose and grew on the wave of decentralisation," the President said. He added that many active volunteers had joined the drafting and approval of the plans for the development of territorial hromadas. "Undoubtedly, this candidates pool will appear at the national level in two or three years. I am convinced that young leaders are the new faces in politics that Ukrainians want to see. Not populists, not provocateurs, those who came not with PR technologies, but with an experience of real actions. This experience is needed by the hromadas, this experience is needed by Ukraine," the President emphasised. The Head of State noted that the economic growth in Ukraine had lasted for 12 consecutive quarters. "It is systemic and stable. But I want to emphasise that 3.4% achieved last year is not enough. This is not the pace that will accelerate our movement towards the EU and NATO," he added. "The state needs real economic acceleration. The economic growth requires a boost. To do this, we need responsible, intelligent managers ready to act on the principle: if you require the impossible, you will get the necessary," he concluded.